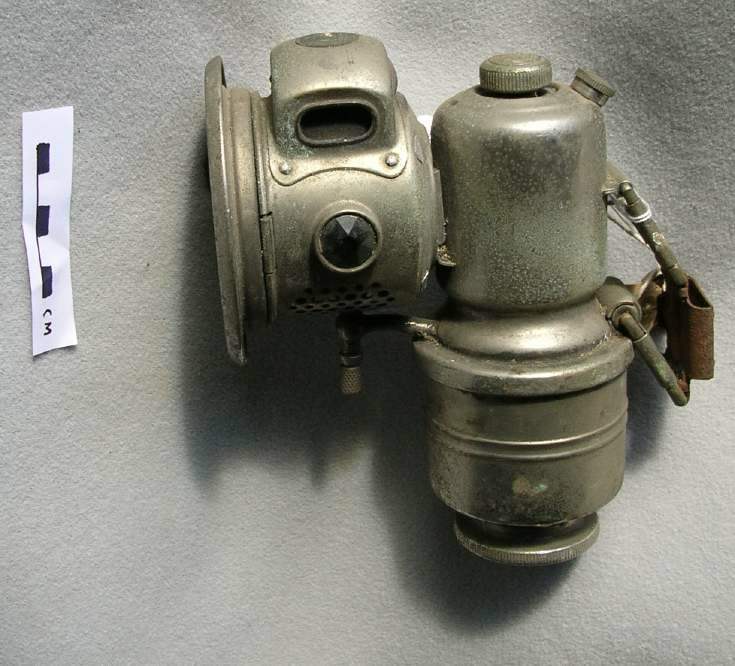 Carbide cycle lamp; quite large (possibly motor cycle) with inscription "P&H, Revenge, Birmingham". The lamp is made of chromium (?) plated steel in the form of an upright cylinder for the carbide/water and a horizontal cylindrical projection with glass lens for the light; an attachment to fit on the front of the bicycle; 3 adjusting screws, one for flame intensity and two for control of gas; two reflectors on side of lamp head.